Research Director of the Arabic Language Technologies (ALT) group (Qatar Computing Research Institute QCRI), Stephan is responsible for helping to define the overall research agenda of QCRI and of the ALT team in particular. His own research focus is on machine translation, especially the so-called statistical machine translation (SMT), where statistical modeling and machine learning techniques are used to learn from existing (human) translations how to translate new sentences. In the team’s research they deal with fundamental questions like optimization in SMT, integrating morphology, novel reordering models, etc, but also how this can be turned into useful applications to support real-live multilingual communication and information access. An additional interest, which Stephan hopes to explore more in the future, is to apply language technologies in educational applications. In particular, QCRI’s ALT team has started to develop CALL (computer assisted language learning) applications for Arabic. Jean-Paul Haton is Professor Emeritus in Computer Science at Université de Lorraine, Nancy, France. He is a senior member of the Institut Universitaire de France where he created the first chair in computer science. 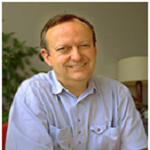 He has been Director of the French National Project on Man-Machine Communication from 1981 to 1993, and Research Director at INRIA from 1988 to 1993. His research interests relate to Artificial Intelligence and Man-Machine Communication, especially in the fields of automatic speech recognition and understanding, speech training, signal interpretation, knowledge-based systems, and robotics. He has supervised or co-supervised more than 100 PhD theses in these fields. He authored or co-authored about 300 articles and books. 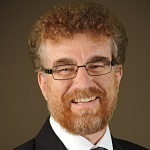 Jean-Paul Haton is a Fellow of IEEE, a Fellow of International Pattern Recognition Society, IAPR and a Fellow of the European Artificial Intelligence Association, ECCAI. He served as chairman of AFIA (French Association for Artificial Intelligence) until 1994 and of ASTI, the French federation of associations for information processing. He is Vice-president of Académie Lorraine des sciences and he was awarded a Doctorate Honoris Causa from the University of Genève, Switzerland. 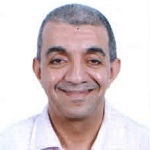 Dr. Mohamed Afify is a senior applied researcher and leading the speech team in Microsoft Advanced Technology Lab, Cairo. He leads a group of developers and researchers to create speech understanding, speech recognition, and text-to-speech for Microsoft product offerings especially in Arabic.